United States Attorney Wendy Olson has done what few federal prosecutors have accomplished in the government’s war on anabolic steroids. Olson has secured a big pay day for the government. Most of the government’s high-profile steroid cases have amounted to little more than witch-hunts targeting celebrity athletes who use steroids. Or they have targeted low- to mid-level steroid dealers and collected relatively small asset forfeitures and fines. In difficult financial times for the federal government, Olson negotiated plea agreements in which the government will collect over $8 million dollars courtesy of Bodybuilding.com and brothers Ryan and Jeremy DeLuca. 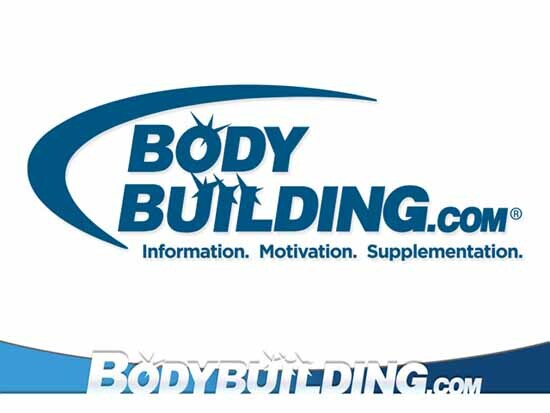 Bodybuilding.com and Jeremy DeLuca each pleaded guilty to five counts of a Class A misdemeanor involving the introduction and delivery of misbranded drugs into interstate commerce. According to the plea agreement, Bodybuilding.com agreed to a $7 million fine and the company’s former President Jeremy DeLuca agreed to pay a $600,000 fine. His brother, Ryan DeLuca, had previously negotiated a plea agreement independent of Bodybuilding.com in which he pleaded guilty to similar charges and agreed to a $500,000 fine. The DeLuca’s and Bodybuilding.com admitted illegally selling “synthetic anabolic steroids” and “synthetic chemical ‘clones’ on anabolic steroids” as dietary supplements when they were in fact misbranded drugs under the Food, Drug and Cosmetic Act (FDCA). The anabolic steroids involved in the case were not scheduled III controlled substances like Anadrol, Dianabol, Deca Durabolin or Trenbolone. The investigation focused on the sale of iForce Methadrol (Superdrol), Nutra Costal D-Stianozol (Madol aka DMT), iForce Dymethazine (Superdrol), Rage RV5 (contained 4-androstenedione) and Genetic Edge Technologies (GET) SUS500 (Tren aka 19-Nor-4,9(10)-androstadienedione). The respective manufacturers of each of these products have previously been prosecuted. The convictions set a significant precedent for the dietary supplement industry. Retailers have generally not been held liable for selling products manufactured by third-parties which contained illegal ingredients. The federal government made it clear that it will hold both retailers and manufacturers responsible for selling ingredients that violate dietary supplement regulations. “Today’s guilty pleas signal that retailers as well as manufacturers who sell products that they identify as dietary supplements have a clear responsibility under the law to ensure that those products are in fact dietary supplements” said Olson. The Bodybuilding.com investigation most likely generated revenue for the U.S. government with its windfall of $8.1 million dollars. This contrasts dramatically with the colossal waste of taxpayer funds in the steroid-perjury investigations of celebrity athletes like Barry Bonds, Lance Armstrong and Roger Clemens. The government reportedly spent in excess of $75 million prosecuting Barry Bonds but a conviction only gained them $4000 in fines. The collection of that fine is far from certain as Bonds’ attorneys have appealed his conviction for obstruction of justice. The government spent several million dollars traveling around Europe and elsewhere while investigating Lance Armstrong before announcing that it had dropped its investigation. And the government has spared no expense pursuing Roger Clemens where they have likely spent millions more in taxpayer funds contacting 187 witnesses, producing 268 interview reports, conducting actual interviews in 79 locations around the country while using the services of over 100 federal agents and eight federal prosecutors. The Clemens trial is currently taking place in Washington D.C. The embarrassing and expensive witch-hunt involving celebrity athletes will not likely be repeated by the government. However, a government seeking additional sources of revenue will probably love to pursue additional cases against retailers and manufacturers of illegal synthetic anabolic steroids sold as dietary supplements.